Sunferia offers a clean, quiet and safe environment ensuring our guests have a great time while staying at the Hostel. Our staff speaks English, Mandarin and Cantonese. 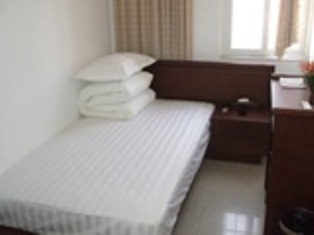 We provide 25 single rooms (two people can be accommodated), and 2 big rooms for couples with private bathrooms. The Hostel has a language training centre, we teach Chinese students spoken English. 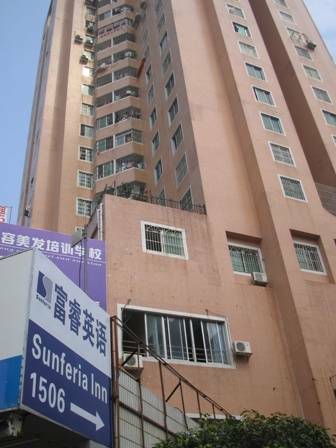 Sunferia has 25 single rooms, and 2 Double rooms with private bathrooms, kitchen, living room and movie room. We also offer FREE unlimited, high-speed internet access. If youd like to ride a bike, you can rent it. If you want to cook for yourself, there is a kitchen. If you want to watch TV in English (Hong Kong, Beijing and Macao channels) or watch DVD, there is a movie room. After shopping and touring around the city, you can return to our Hostel, relax and make yourself a cup of tea or coffee. Our staff speaks English, Mandarin and Cantonese. The Hostel has a language training centre, we teach Chinese students spoken English. 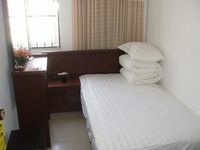 The big room has a king-size bed, air-conditioner, cable TV and private bathroom. 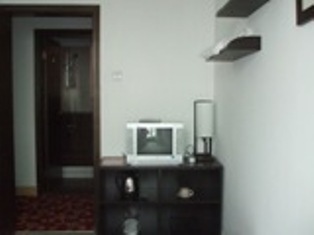 Single rooms have standard size beds, airconditioner and cable TV. Vanguard department store, Suning and Hople stores, Huiyuan supermarket, a bus stop are near here; you can buy a lot of cheap stuff in the neighborhood. You can take No. 1, 40, 99 buses to go to Yuan Ming New Garden, No. 40, 99 buses to the Statue of fisherman's daughter and Zhuhai Museum, and No. 204 bus to the Hot Spring Paradise in Hai Quan Bay. take bus Nos. 5 or 8 . Taxi fare from all these areas is approximately Y20/25. Vanguard department store, Suning and Hople stores, Huiyuan supermarket, a bus stop; you can buy a lot of cheap stuff in the neighborhood.